What’s your favourite season? When I first got Pinterest many years ago, I came across this really cool site: design-seeds.com. For this challenge, use one of these seasonal colour palettes below for inspiration. You can use all of the colours in the palette, or just one – whatever takes your fancy. 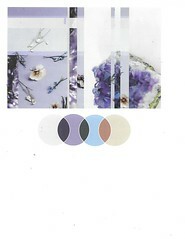 Alternatively, use a favourite photo and do a layout in a style similar to the palettes shown. If none of these pallets appeal to you, you can choose your own seasonal palette from the site. Please link your chosen palette when you post your layout. 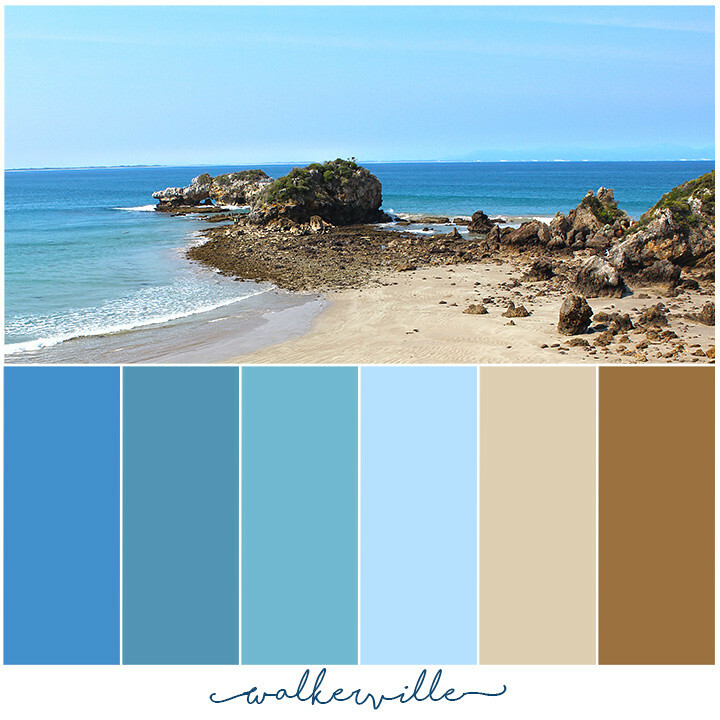 This is my own colour palette done around a photo I took a few years ago at the beach at Walkerville South. Obviously this is a lot easier to do in Photoshop rather than with paper. Mind you, back in the day when I used to do paper scrapbooking I had almost every colour Bazzill under the sun so this would have been a breeze! And this is my layout based on the colour palette "Color Shore". The photos are from when we were down at the beach last weekend. I will add up my points for the team challenge later when all the challenges have been set. PS. Please excuse my Australian spelling of 'colour' and 'favourite' !! I hope it isn't too annoying. Wow! So much inspiration! 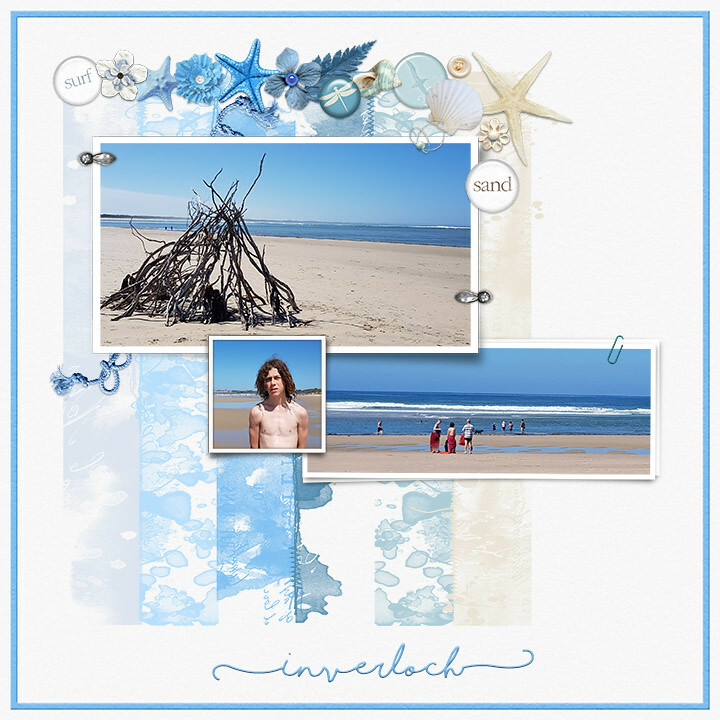 LOVE your page with all its blues and the touch of wood and sand! Great selection of photos, too, from close ups to panorama shot. I have some winter pic's I am super ready to scrap. Hope to get those done on Saturday. Your photos and layouts are beautiful - I'm loving the blues on your pages. I'm not sure which photos I'll use for this challenge, or if I'll choose the summer blues or the winter blues, but there will be blue! Just beautiful AussieMeg the watercolor papers are wonderful. They complement your photos so well. Gorgeous lightness to your layout, beautiful! Why are you apologizing for correct spelling? Beautiful job grammadee! Your cluster was awesome. I struggle with this too. I am an accountant so clean lines and a linear feel is my MO. This is the second autumn color palette worked into a winter layout. It also was a sketchy Saturday challenge. Great choice of papers, jeremysgirl. Loving your flower. Happy to see you having so much fun with these challenges! I do much better with a challenge/sketch than I do without one. I like working within certain parameters. And I have 4 girls and 3 female animals. 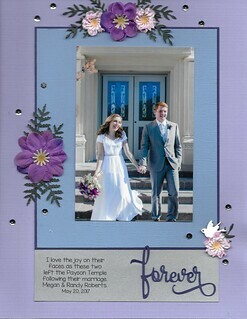 Flowers are all over my scrapbooks. Gorgeous LO grammadee. The cluster is wonderful, and I love the blues and greys. I love how you used the autumn palette for winter photos jeremysgirl . The whole LO is gorgeous - I remember that sketch, it was one of my favourites that month. I do much better with a challenge/sketch than I do without one. I like working within certain parameters. Here are a couple more with the winter palette. 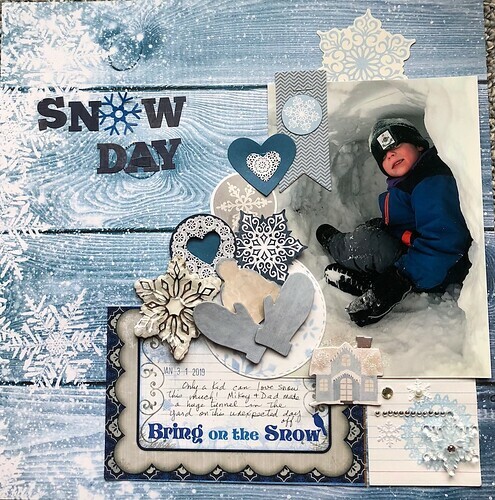 So happy to sit inside where it is warm and scrap photos dd sent me of their little guy having a blast in the snow! 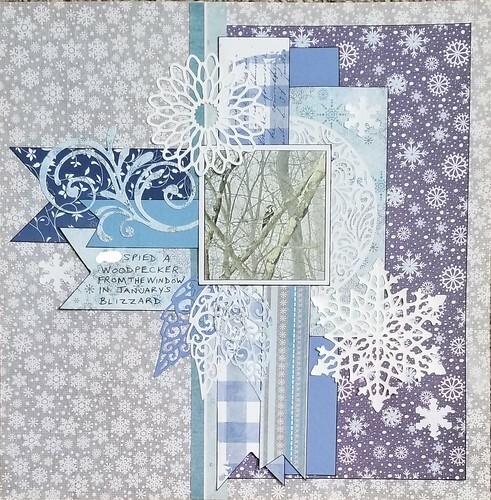 And so happy to be using winter themed papers and other elements from the last few years to scrap them! Here is mine for Day 2. I used a different Spring palette from the site. I have left love in the gallery for grammadee and AussieMeg. 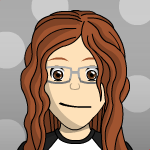 jeremysgirl, that is such a cute page. The little circle icons are perfect to balance that side. Sweet doggie. nylene your layouts are always some of my favorites. The colors are wonderful and it's just simple and elegant. I used Summer #1 for this page about winter. Two winters ago we had a "Snow of the Century" snowfall. 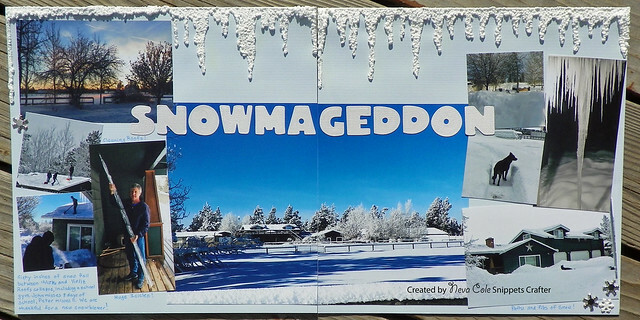 Bought a snowblower, had to shovel our roof to keep it from leaking into the house, a school gymnasium collapsed closing the rest of the schools for almost a week to check for safety, and also had several warehouses and one store with collapsed roofs. 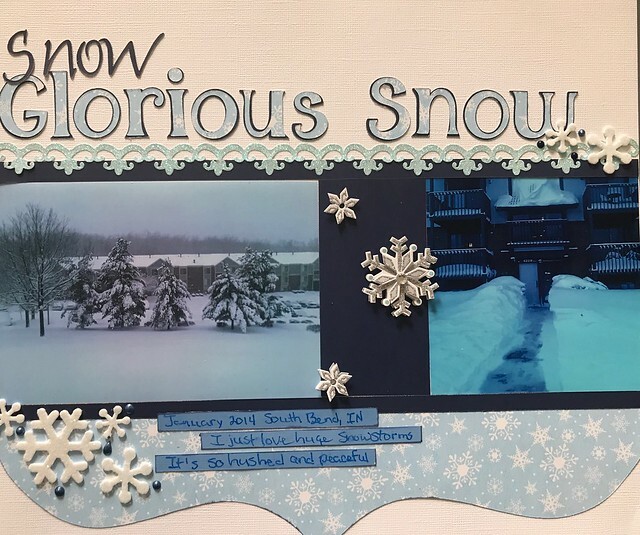 The photos are obviously the star of this show, and of course I used the winter color scheme! Will be shared and points added on general sharing thread. I have a very grey photo, but I dressed it in winter blues. Thanks AussieMeg! I love the blues and the snowflakes, joyfulnana. I love how peaceful it looks after a snowstorm too. Just don't love having to go out in it and drive somewhere! I love the blues and the snowflakes, joyfulnana . I love how peaceful it looks after a snowstorm too. Just don't love having to go out in it and drive somewhere!